This chair designed to fit like a glove. 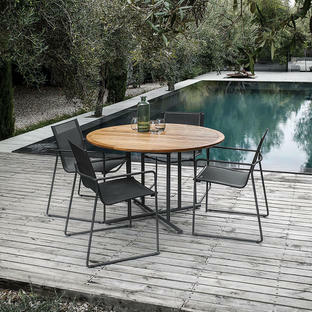 William is a gloriously comfortable teak dining chair. Designed to be used both outside and in. 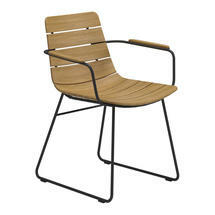 The chair frame is light and has a powder coated finish. The elegant frame hold the curved teak slats that define the design language of the William chair. The buffed teak finish allows a beautiful soft feel to the hands. The curved chair back and seat gives a real comfort to this natural teak chair. To preserve the beauty of the chairs, covers are available to order separately. 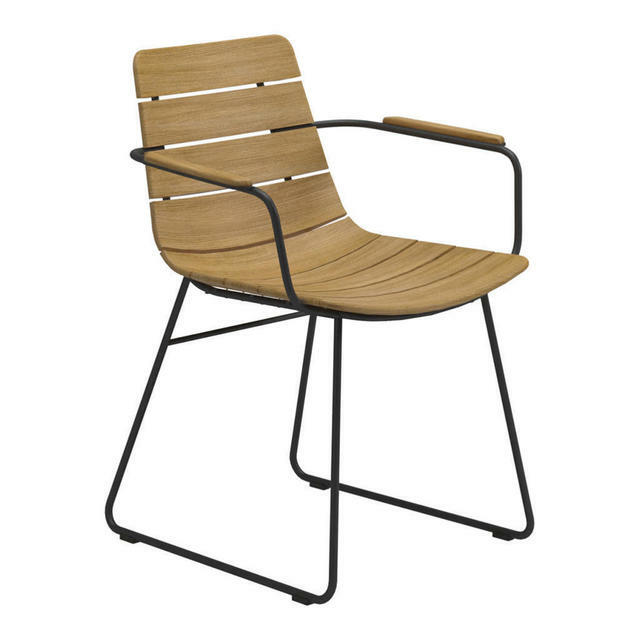 The William chair is a perfect complement to the Whirl slatted table. 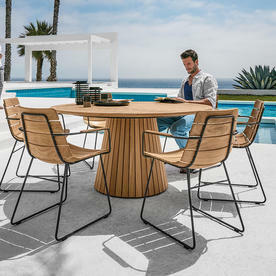 Or the Whirl buffed teak table as shown in the picture here. Lounge chairs and footstools are also available in the William collection, see here. Choose from either a white powder coated stainless steel frame or a meteor black frame. With Buffed Teak Slatted Seat Panels. 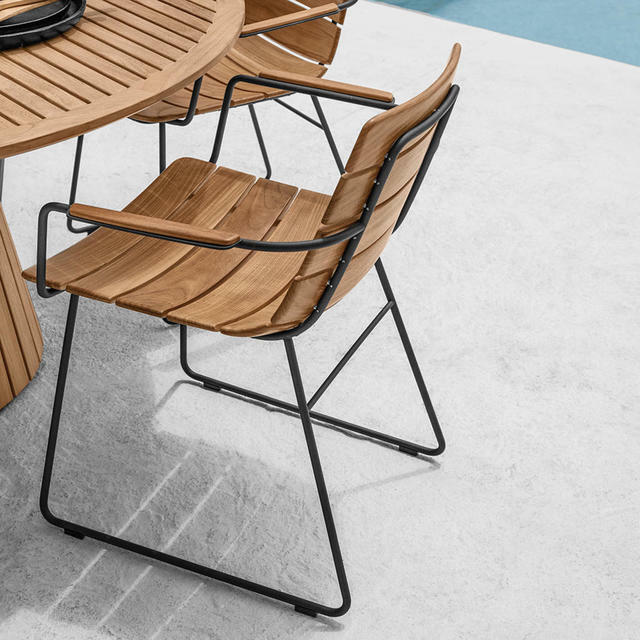 Buffed teak benefits from an enhanced surface preparation procedure, where the natural oils already contained within the teak are brought to the surface and burnished to produce a rich sheen and a consistent colour. 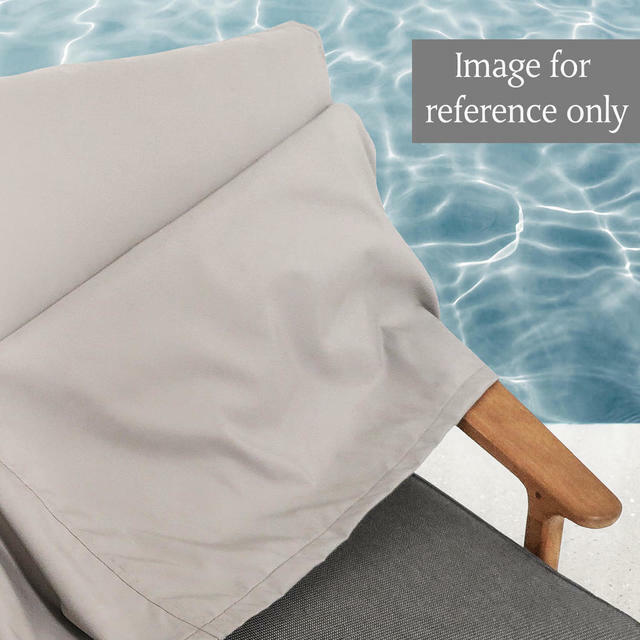 Used indoors, protected from moisture and ultraviolet light, the buffed surface finish and the rich colour will endure. Used outdoors, buffed teak will weather exactly the same as natural teak when exposed to the elements. Over time, the natural teak colour will also begin to fade away and the furniture will gradually weather to a soft, silver-grey. Please see individual variant information for lead-times. Your Gloster items should be delivered in around 14-18 working days. We will contact you on receipt of your order to give you more precise information, and will contact you if there is any unexpected delay to this estimate. If you have any queries about any aspect of the range, please phone our furniture help line on 0345 6052505 where we will be delighted to help you or if you prefer send us an email. Don't forget to add any delivery notes at the checkout if your property is hard to find! • See Delivery FAQ's for more information. • Check the availability date below the item price. This item will normally be despatched around that date, in accordance with your delivery choice although with furniture deliveries we will make specific arrangements with you.